(CBS) Is too much vitamin E a bad thing? 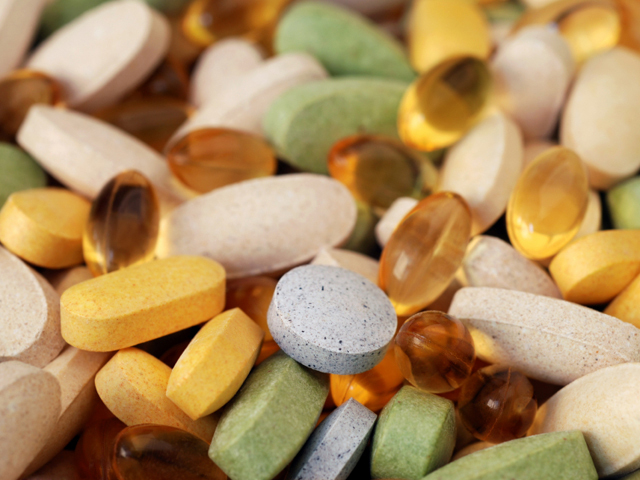 A new study suggests vitamin E supplements can increase a man's risk for prostate cancer. For the government-funded study - published in the Oct. 12 issue of the Journal of the American Medical Association - researchers took another look at 35,000 men who were part of a 2008 study called the Selenium and Vitamin E Cancer Prevention Trial (SELECT). A quarter of the men had received 200 micrograms of selenium - a mineral found in plant foods - per day, a quarter received a 400 IU-capsule of vitamin E, a quarter received both supplements, and the final group was assigned to take a placebo pill. The recommended dietary dose of vitamin E for adults is about 22 IUs - about 20 times less than the study's dose. The original 2008 study found no reduction in prostate cancer risk with either selenium or vitamin E, but did find a slight "statistically nonsignificant" increase in prostate cancer among the vitamin E-takers, that the reseachers wanted to verify for the follow-up study. Cut to three years later, almost 150 men in the vitamin E group were diagnosed with prostate cancer compared to 113 in the placebo group, suggesting the vitamin E supplements were tied to a 17 percent increased risk for prostate cancer. That means for every 1,000 men over a seven-year period, 76 of them who took vitamin E supplements got prostate cancer, compared with 65 men who were placebo-takers. "The observed 17 percent increase in prostate cancer incidence demonstrates the potential for seemingly innocuous yet biologically active substances such as vitamins to cause harm," Dr. Eric A. Klein, professor of urology at the Cleveland Clinic, said in a written statement emailed to CBS News. The lack of benefits from vitamin E seen in the study, "underscore the need for consumers to be skeptical of health claims for unregulated over-the-counter products." Vitamin E is naturally found in foods such as nuts, seeds and vegetable oils. Previous studies have suggested vitamin E could help prevent or delay heart disease, protect eyesight, and protect cells from becoming cancerous, according to the Office of Dietary Supplements. Based on the new study, what's the take-home message for men? Maybe vitamin E supplements are not all they are cracked up to be. "You really have to question now how taking vitamin E will help someone," Klein told the Washington Post. "Not only is it unlikely to help them, it apparently could hurt them." The supplement industry disputed the study's implications, reminding people it's just "one study." "Interestingly, when vitamin E was combined with selenium, the risk was reduced to a non-significant statistic, perhaps even the result of chance," Duffy MacKay, vice president for scientific and regulatory affairs at the Council for Responsible Nutrition, said in a written statement. "This reinforces the theory that vitamins work synergistically and that drug-like trials of nutrients, when used in isolation from other nutrients, may not be the most appropriate way to study them." Sixteen percent of all American men are likely to get prostate cancer in their lifetimes. This year there will be an estimated 240,890 new cases of prostate cancer and 33,720 deaths from this disease. The National Cancer Institute has more on prostate cancer.